The discovery of archaeological remains during the course of works can be a disaster for an Employer and can lead to long and costly delays, conflicts with archaeologists and planners, cancellation and heavy financial loss. Employers should acknowledge these risks and consider taking out insurance against the consequences. Certain areas of Malaysia are extremely rich in archaeological remains still undiscovered under the soil. In 2005 Kota Gelanggi in Johor was discovered by a dam, other examples would be Bujang Valley in Kedah and Lenggong in Perak which was discovered during highway construction in 2000 and led to the project be stopped. This evidence of the past is regarded as a priceless and irreplaceable national asset which encourages tourism and legislation in the form of the Antiquities Act 1976, which provides for the control, preservation, and study of ancient and historical monuments, prehistoric sites, prehistoric and historic artefacts. 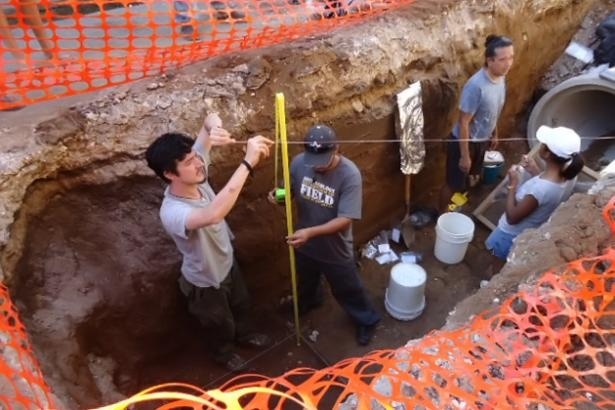 The possibility of an unexpected find is an ever-present consequence of the rich and diverse nature of the archaeology itself of Malaysia. So in spite of the best pre-planning and research, there may be occasions when the presence of archaeological remains only become apparent once a project has commenced. Employers should therefore consider insuring themselves against the risk of a substantial loss while safeguarding the interest of historic remains unexpectedly discovered on site. Conflicts that may otherwise arise between Project owners and archaeologists which will not be easy to solve and could be very costly. The consequences of not taking precautions against these risks can be serious. Archaeological costs alone can be very significant and Employers can also be saddled with huge delay costs, the cancellation or redesign of a scheme and making the whole project effectively a commercial disaster. Delay costs are defined as being additional costs incurred in relation to the delayed completion of the development, which the insured becomes legally liable to pay. This is likely to be the most significant unexpected cost to the Employer. Archaeological costs are defined as being all costs incurred, with the prior written consent of underwriters, in undertaking a scheme of archaeological work, including fieldwork, post-excavation work and preparation of results to an agreed standard for publication, which is required by Government Agencies or other statutory or curatorial organisation, to the standard of best recognised professional practice. Cancellation costs are defined as being costs incurred as a result of the necessary cancellation of all or part of a project because of subsequent denial of planning consent or the designation of unexpectedly discovered is classified as a protected site or Ancient Monument. Redesign costs are defined as costs necessarily incurred by the developer as a result of a requirement to revise the layout or constructional details of a project in order to ensure the preservation of unexpectedly discovered archaeological remains. Loss of profit by its very nature would vary according to the Employers business but would include loss of rent and loss of revenue due to delays or cancellation. Loss of value occurs in extreme circumstances where an unexpected discovery results a loss of space or even a whole storey with the result that the market value of the development is reduced. Before any quotation for insurance can be given, an independent risk survey by the underwriter’s archaeological consultant is required. The consultant’s fee would be an up-front cost to the Employer. Insurance of this nature only covers the unexpected so it is important for the Employer get cover in place before anybody starts digging on the site.